Aliens May Be More Like Us Than We Think! – How Would You Do It? 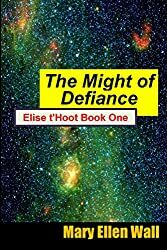 My comments: I designed three main types of aliens for my Elise t’Hoot books: The beings in tree-like shells, the ancient, gigantic crab-scorpion frights and the gaudily clothed bipeds the characters talk about. For example, the treeish Amigos can levitate and pull water and mineral from the ground, Elise is abducted and finds she can wear the Tooli robes, and few books later she is awed by the Critch-Critch who are threatening Earth. This article caught my eye as it helps justify the Tooli, and really the others as well. Summary: For the first time, researchers show how evolutionary theory can be used to support alien predictions and better understand their behavior. They show that aliens are potentially shaped by the same processes and mechanisms that shaped humans, such as natural selection. The theory supports the argument that foreign life forms undergo natural selection, and are like us, evolving to be fitter and stronger over time. Sam Levin, a researcher in Oxford’s Department of Zoology, said: ‘A fundamental task for astrobiologists (those who study life in the cosmos) is thinking about what extra-terrestrial life might be like. But making predictions about aliens is hard. We only have one example of life — life on Earth — to extrapolate from. Past approaches in the field of astrobiology have been largely mechanistic, taking what we see on Earth, and what we know about chemistry, geology, and physics to make predictions about aliens. Species complexity has increased on Earth as a result of a handful of events, known as major transitions. These transitions occur when a group of separate organisms evolve into a higher-level organism — when cells become multi-cellular organisms, for example. Both theory and empirical data suggest that extreme conditions are required for major transitions to occur. ‘By predicting that aliens undergone major transitions — which is how complexity has arisen in species on earth, we can say that there is a level of predictability to evolution that would cause them to look like us. This version: University of Oxford. “Aliens may be more like us than we think: What evolutionary biology tells us about how aliens could look.” ScienceDaily. ScienceDaily, 31 October 2017. <www.sciencedaily.com/releases/2017/10/171031202151.htm>.